Suffering from hard lumps on your arms and legs? You may be having a condition called Dermatofibroma. Know what is Dermatofibroma, what causes it, its symptoms, diagnosis and treatment. The term Dermatofibroma refers to round growths or bumps arising on the skin of the arms and legs. These compact masses are benign, or non-dangerous, and consist mostly of fibrous skin tissues. Dermatofibroma lumps are small, lesser than an inch in size. Most people have only one or two Dermatofibroma knots on their skin though there are cases where these lumps may arise in clusters. In rare circumstances, the number of these bumps may be ten or more. These may be varied in color and can be brown, black, blue, red, pink, purple, orange or even yellow. Dermatofibromas can appear on any area of the skin. But they are generally found in the upper body region such as in the faces and neck or the lower limbs such as the legs. You will rarely find a Dermatofibroma under arm or on the buttocks. The exact cause of Dermatofibroma is still unclear though researchers believe it to be a product of excessive growth of a fibrous tissue lying between the epidermal and dermal layer of skin. 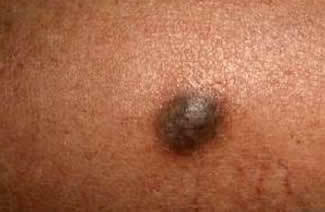 This overgrowth is visible in the form of hard round lumps known as Dermatofibroma. Celluar changes are also held as a cause for this condition. Changes in cell structure can make cells grow and divide in a way different from the usual cell cycle. Dermatofibroma is also supposed to result from some minor injury to the skin such as a cut or abrasion or an insect bite. There are very few symptoms of Dermatofibroma. The condition is mainly asymptomatic or devoid of symptoms. In most people, Dermatofibroma makes its presence felt as hard, round masses over the skin. The bumps can arise on any part of the skin region but it is more common on the lower region of the leg. Affected people may experience on touching these rashes. There can also be itchiness in the bumps. Dermatofibroma lumps do not give rise to any serious complications. Naturally, hospitalization is not required for sufferers of this condition. Medical treatment is necessary in discomforting symptoms arising from this disease. As aforementioned, Dermatofibroma is non-dangerous. It is a benign, non-cancerous growth of fibrous skin tissues under the epidermal layer of the skin. In Dermatofibroma cancerous complications are rare unless there is some other malignant condition involved. Some people however, view the Cellular Dermatofibroma as a malignant growth. As aforementioned, Dermatofibroma is a non-cancerous and benign lesion. There is no risk of death from this disease. Dermatofibroma is usually non-itchy. There is generally no itchiness in these lumps except in rare cases. Itching is not too severe and can be treated with anti-itching creams and ointments. In Dermatofibroma pain is also rare. Asymptomatic cases of Dermatofibroma do not need any treatment. Dermatofibroma cure is required only when the sufferer complains about discomfort. In facial lesions, shaving carelessly can lead to Dermatofibroma bleeding. Many people with Facial Dermatofibroma go for treatment. Cryosurgery has been found to be effective in treating Dermatofibroma lumps. The process involves applying a liquid cooling agent, such as liquid nitrogen or dry ice, over the growths. It makes the bump temporarily absent though it reappears after a point of time. A recurring Dermatofibroma growth is usually smaller than the original and can be treated again. Cryosurgery is a temporary method of Dermatofibroma treatment. It may also leave a white mark in the place of the bulge. Cases of Multiple Facial Dermatofibroma are treated by Dermatofibroma Laser Treatment. Carbon Dioxide Laser Therapy has been reported to be carried out on several patients. Dermatofibroma bumps in odd places can also ruin physical beauty and cause discomforts during activities like wearing clothes or shaving. In such cases, the patient may go for a Dermatofibroma removal. Dermatofibroma removal consists of getting rid of the lump by surgical means. A doctor administers anesthesia to numb the area and performs the operation. The top part of the lump is surgically cut away in many cases. This however, leaves scope for recurrence. 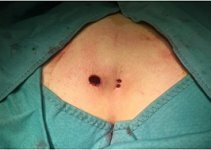 Complete removal of a Dermatofibroma knot requires removing a part of the subcutaneous fat surrounding it. The surgery is not harmful and poses no threat to the health of the sufferer. Dermatofibroma removal cost is not more than a few dollars. Dermatofibroma excision can however, leave a large, ugly scar in the operated area which can be worse than the bump itself. The scar is usually a permanent one. Topical application of Cellulite Cream over a period of time is said to reduce a Dermatofibroma growth. Applying Camphor Spirit over the knots can also be effective in curing Dermatofibroma lumps. The differential diagnosis for Dermatofibroma consists of distinguishing the disease from other disorders like Piloleiomyoma, Neurofibroma, Tophus, Hypertrophic Scar, Erythema Elevatum Diutinum and Neurilemmoma that produce similar symptoms. The condition should also be differentiated from Dermatofibrosarcoma Protuberans, a malignant skin tumor. Wan to know how Dermatofibroma lesions look like. Here are some useful Dermatofibroma images that will provide you with a visual idea about the appearance of the condition. Dermatofibroma is a mild condition and does not involve any complications. However, it can be slightly discomforting and ruin your physical appeal somewhat. If you have someone suffering from the disease in your family or having Dermatofibromas yourself, it is better to wait and watch for some days. If the lesions do not resolve naturally or hamper your daily activities, you can get help from a good health expert. I haveDerma fibromas they cause a lot of painjust wish they.